Beckett Energy Systems (BES) has announced that its 24 volt large format lithium-ion module has reached a significant long cycle life milestone that further supports its use as a solution for emerging advanced energy products. Commercially launched in February 2014, Beckett’s 24 VDC lithium-ion battery module has undergone continuous life cycle testing reaching 3,650 cycles, the equivalent of 10 years of life if cycled daily. In recent years, lithium-ion batteries have experienced a notable increase in adoption in large format applications. This, combined with the rapid advancements in materials and formulations, has created a situation where true long term performance and reliability data are not widely available. Life expectancy predications are often extrapolated based on individual cell data; however, many factors affect battery life in a larger system, including how deeply the battery is discharged, how fast the battery is charged and discharged, as well as the surrounding temperature. 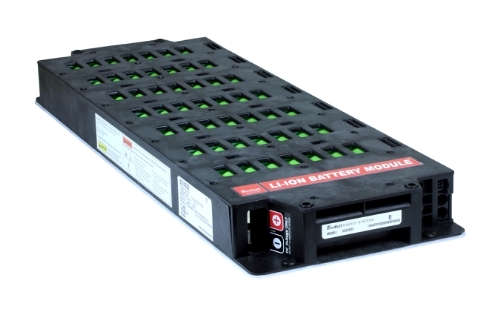 Scalable from 1 to 100 kWh of capacity, customers can be confident in the long cycle life of Beckett’s lithium-ion battery module with Boston-Power cells.